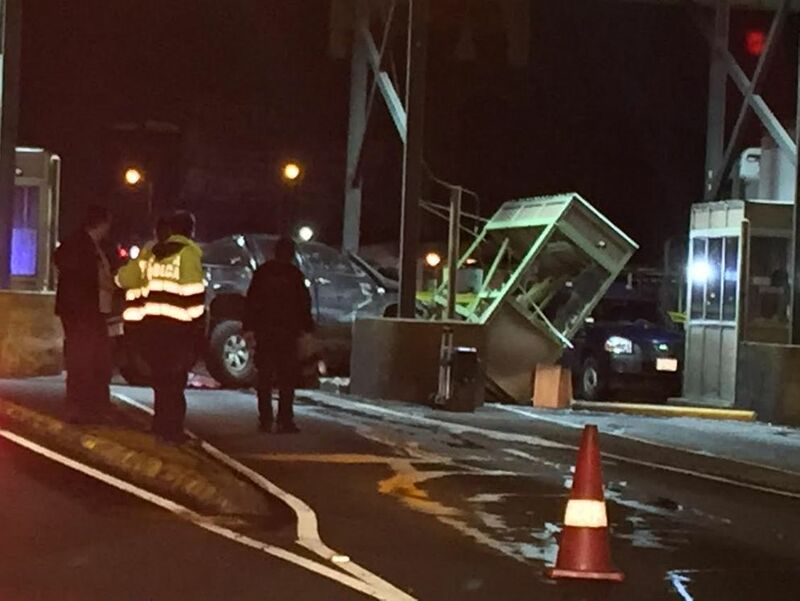 QCOSTARICA – For reasons still unclear, a man died this morning after crashing into a toll booth on the General Cañas. The toll booths are located in Alajuela, some 500 metres east of the international airport. The crash occurred at 2:46am. Witnesses said the vehicle came at the toll booth at a very high speed, crashing into the concrete abutment protecting the toll booth. 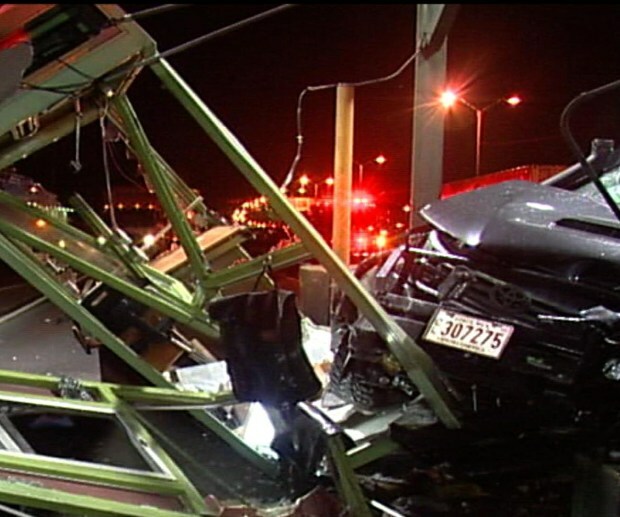 On impact, the vehicle bounced off the abutment and crashed into another toll booth. The structure was totally destroyed. Security camera video captured the moment of the impact. Inside the booth, Carlos Andres Ledezma, who miraculously suffered only a bump on the forehead, said “it all happened so fast”. The driver was identified as 27 year old man with the last names Fonseca Barboza. Rescue workers arriving on the scene used hydraulic equipment to cut through the vehicle and get to the man, realizing then that he had already died. Authorities are investigating the crash, looking closely if there was another factor involved in the accident besides the high speed. Previous articleThe Future Is Today!